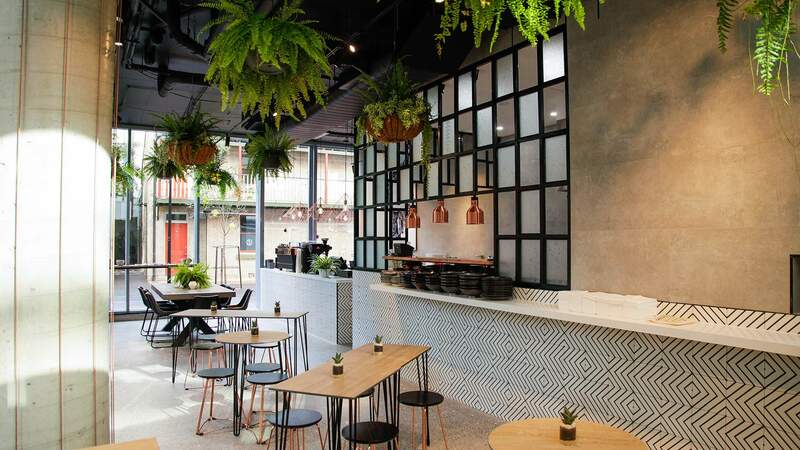 An eco-conscious cafe bringing a touch of greenery to Chippendale. A Chippendale cafe serving up dishes of local and ethically-sourced produce from a predominantly plant-based menu — a lot of which looks like it's made for Instagram — sounds like a scenario we've heard before. Nearby Henry Lee's does it (and well), as do a heap of cafes in the area. But, still, the concept isn't one to be scoffed at — and new cafe Concrete Jungle does it well (though not without a flaw or two). 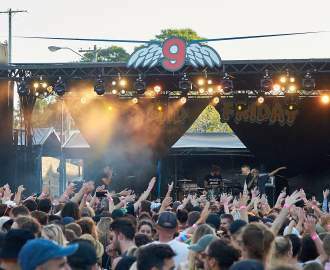 As well as sounding mighty similar to Concrete Playground (hey, we were all thinking it), the cafe's name is a nod to the now iconic Central Park building around the corner, which successfully combines industrial and natural elements. Another successful combination, while not particularly revolutionary, is tuna and avocado, and in the form of Concrete Jungle's tuna tartare ($22), it's a dependable dish. The creamy avocado is helped along by tart apple matchsticks and savoury miso — the only thing I'd wish for is more of those airy teff crackers so I wouldn't have to ration them like a castaway. The Reuben, as it was listed on the menu ($17), had me expecting a play on the deli classic, but the dish that arrives is more pulled beef burger than Reuben. The house barbcue beef on its own with the soft sesame would've made for a great sloppy joe — but toss in an egg, tarragon mayonnaise, and a slice of pastrami and it becomes something simultaneously confusing and almost too rich. If the Ruben is an example of a dish not living up to expectations, the Blue Majik smoothie bowl ($17.50) with blue algae, blueberries, blackberries and coconut flakes is an example of Instagram-influenced food gone right. Aside from the questionable spelling — which no amount of menu-perusing or reading of the cafe's story will help you understand — there's nothing serious to fault here. It's tropical with a subtle coconut flavour, and much better than your usual acai bowl. Blue algae isn't the most attractive ingredient to see on a menu but it's consistent with the cafe's 'refuel with essential nutrients' mantra. Concrete Jungle shows that a focus on nutritional, sustainable eating is more than a millennial fad — it can result in some enjoyable food, with the (organic) cherry on top being that it's a mindful way to eat. We just think it wise to stick to the dishes that emulate their plant-based clean-eating ethos.